Teaneck Therapist: Karen Lewis - Therapist 07666. Do you have a child with special needs, and are feeling powerless, confused, stressed, or overwhelmed? Are you having trouble in your relationships? Perhaps you are experiencing feelings of anxiety some or most of the time? Do you struggle to get out of bed in the morning or find that you are isolating yourself? These are just two of many symptoms of depression. Karen Lewis, a Licensed Clinical Social Worker and Psychoanalyst in Teaneck, NJ, is dedicated to helping you with whatever issues you may be experiencing. 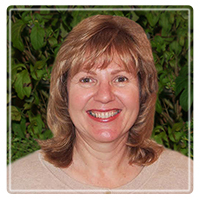 Karen specializes in working with the PARENTS OF CHILDREN WITH SPECIAL NEEDS. She provides individual and couples counseling and to help parents feel less isolated and alone in their journey. She believes parents of children with disabilities need help coping, strengthening their relationships, and learning how to take better care of themselves. There is vast range of emotions that accompany a parent of a child with special needs. Whether you are feeling confused, fearful, disappointed, stressed or overwhelmed, talking to a professional can feel like a weight has been lifted off your shoulders. Karen supports the needs of the family, and works collaboratively with other professionals. Another specialty of Karen’s, is working with clients who are experiencing symptoms of ANXIETY. If you are experiencing anxiety, like being fatigued, irritable, restless, nauseous, having a feeling of impending doom, or trouble sleeping, you know it can interfere with your day-to-day functioning and can even be debilitating. Help is available and you don’t have to suffer. DEPRESSION also presents with a large array of symptoms. Are you: always feeling tired, had a change in your appetite, having trouble concentrating, finding yourself flying off the handle easily because everyone irritates you, recognizing that you have lost interest in everyday activities? Do any or all of these sound familiar to you? You may not realize it, but there is a possibility that you are experiencing depression and you don’t have to feel this way. Karen is a graduate of New York University and the New Jersey Institute for Training in Psychoanalysis. She is in private practice in Teaneck, NJ and is committed to providing compassionate support to her clients. She utilizes and eclectic and individualized approach to accommodate the needs of each client.